I’ve never really understood the motivation of those fanboys and girls who queue for days on end outsite their favourite electronics store, eagerly anticipating the launch and pending purchase of the latest and greatest gadget (this behaviour of course most feverently present in the Apple electronics fan, it must be noted). Of course, I’ve looked forward to the latest software, DVD, book and music releases and often pre-ordered items for delivery the second they become available to the general public, but never have I actively wanted to queue up for that special something. The closest I’ve ever been to wanting that electronic device was the launch of the Palm Pre; I sought out every YouTube video of the device, rumours and advanced reviews as I possibly could, before I bought the device I longed for a few days after its UK release. But the Palm Pre was never a device I would have dreamt of queuing up to buy and the long wait of almost 18 months from its first announcement to the general availability meant the anticipation was long built up and then allowed to die down inside my thoughts. But as I sit here typing today, I’m longing for two new things. The first is Microsoft Windows 8 (the prospect of a new Operating System that will allow me to everything at a much faster, more convenient and better way is always a source of inspiration and stirs the ‘want’ in me), but like the Palm Pre, the software is still over a year away. 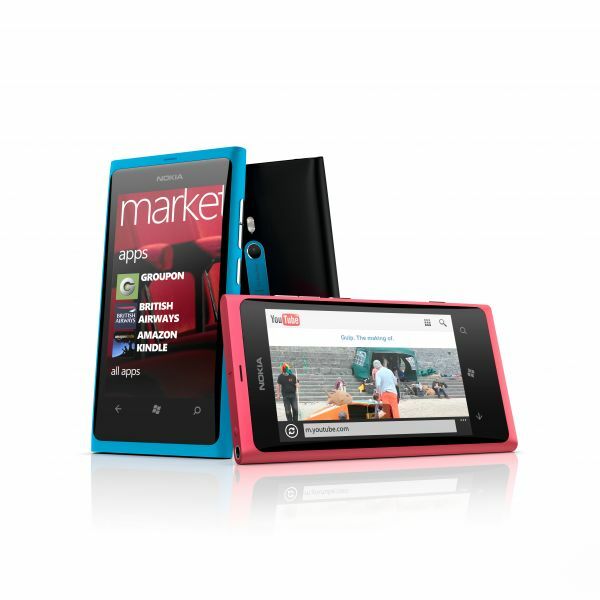 What has really grabbed my attention and pushed my ‘desire’ buttons at the moment however, is the Nokia Lumia 800. My aged Pre has finally reached its ‘end of life’, the battery will only hold limited charge, web pages and emails are simply refusing to load and/or scroll correctly, the crack across the front of the screen is getting ever more noticeable and the dramatic purchase and then dumping of webOS by HP has left me feeling incredibly cold. Having already sampled Windows Phone 7, I was already pretty excited by the Mango updates which bring the platform up to expectations and since Nokia was announced as thee manufacturer of Windows Phone handsets I awaited their first Windows phone with huge anticipation, eager to see if they could deliver on their promise of a company saving phone. 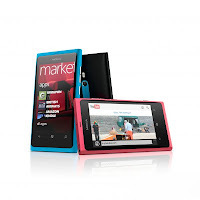 Well, just a few days ago at the NokiaWorld conference, they took the wraps of a number of new devices including the flagship ‘SeaRay’ product we now know as the Lumia 800…..and boy do I want one! The phone hardware simply looks stunning with its precision sculpting and build, the curved glass that makes applications look like they are floating on the screen in mind blowing bright colours and superb camera. Mango now seems to tick all of the boxes; multi-tasking, deeper customisations and deeper integration with existing Microsoft technologies (particularly cloud based technology SkyDrive). This phone is no doubt a desirable product and since I first clasped eyes on it, I’ve become spellbound by its potential and I feel like an Apple Fanboy must feel whenever a new iPhone is announced and the scrabble to pre-order or queue up outside a store without ever even seeing the product for real takes over. Whilst I don’t believe I’m going to queue up or camp outside my favourite mobile networks store just yet, I can say with some confidence that I’m actively looking at the deals available on this device and when I find that deal, I’d be quite happy to pre-order for either delivery or pick-up on its day of launch. Not bad for a dying company (Nokia), and one that is forever reminded that they seemed to have turned up to the phone market far too late (Microsoft).